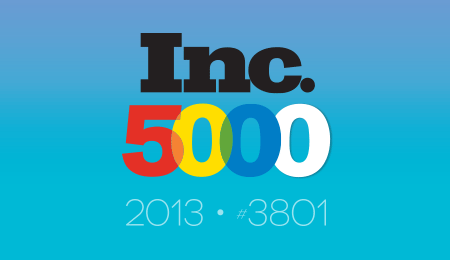 We’re excited to share with you some big news: Callcap has been named as one of the top 5000 fastest growing companies in 2013! Not only did we make the Inc. 5000 national list, but our call measurement and evaluation service and the customer experience we provide was ranked as #30 in the top 100 Kansas companies, too! We’re proud to be recognized for our growth, because we believe it is a testament to doing things the right way for you—our customers—and to us, that’s what it’s really all about. So, let’s talk about what being named to this list means for you, our customers. Innovation: It means that you can continue to expect more from us. We’ve been developing and improving what we can do for you for more than a decade, and we will continue to do so well into the future. Trustworthiness: Whether you’ve been with us since day one, or have just now joined our family, we want you to know that Callcap is a safe place for your phone numbers, your data and your various integrations. Not only are we not going anywhere, but we plan only to continue improving how we secure and store the information that makes you a better business owner. Longevity: We’ve been in the game a long time, and unlike other companies, we’re not focused on how quickly we can start a company and make a buck. The award may be for fastest-growing companies, but, to us, that secondary to providing excellent customer satisfaction. We want you to know that it’s easy to start a call-tracking company, but it’s difficult to create a legacy of taking care of the customer. We’re already here, and our system is committed to sustainable growth that puts you, our customer, first. Your business is too important to trust “just any call-tracking company” that could shut down soon after it starts, and we want to say thank you for continuing to put your trust in us. We hope that as a Callcap customer, you’ll take pride in this achievement with us. After all, this award exists only because of you! Without your belief in how we do business, we wouldn’t be here. If you’d like to know a little more about the award, or learn about the great company we keep on the Inc. 5000 list, you can check it out here! If you’d like to see how we can help your company systemically improve its sales effectiveness, contact us today.